As captured in Hollywood films and the memories of thousands of visitors to the areas surrounding Bozeman, Montana lakes and rivers are the pristine ideal that send many of us in pursuit of adventures in the great outdoors. Beginning at Gallatin Lake, the Gallatin River flows for 115 miles from Yellowstone National Park to where it becomes a part of the Missouri River near Three Forks, Montana. This waterway provides a wide variety of recreation including fishing, whitewater rafting and wildlife viewing. Even though you may have never traveled to Montana, you probably have seen the Gallatin River as its scenic beauty was featured in the film “A River Runs Through It”. The Yellowstone River remains the longest undammed river in the lower 48 states. The scenic beauty of this river is unsurpassed. 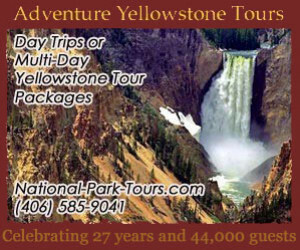 Starting south of Yellowstone National Park , it creates spectacular waterfalls as it flows through the Grand Canyon of the Yellowstone and then on north through Gardiner, MT, to Livingston, past Billings, toward Miles City and Glendive. The Yellowstone River continues to North Dakota and after a journey of 692, it enters the Missouri River. Beginning in northwestern Wyoming, the Madison River flows north through Montana to join the Jefferson and Gallatin Rivers at Three Forks, MT. 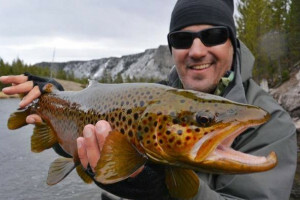 Recreation opportunities are abundant on the Madison, but it is best known as a fly fishing heaven – classified as a blue ribbon fishery and one of the most productive streams in Montana for rainbow trout, brown trout, and mountain whitefish. The Hyalite Reservoir is the focal point of the Hyalite Canyon area, which is a popular recreation spot for anyone who lives in or visits the Bozeman area. The area is easily accessible and is enjoyed by anglers, hikers, ice climbers, and mountain bikers. Located near Helena, MT, Canyon Ferry Lake offers 35,181 acres of surface water with 76 miles of shoreline. The Lake is popular for fishing and boating. At various locations around the Lake, you will find boat ramps, campgrounds, day-use area, shelter, designated swimming areas and three separate marinas. This moderate sized lake can be found just outside the town of Ennis, MT. The Lake is actually very shallow and can become quite warm during the hotter summer months. This makes the fishing poor. However, access to this lake is good, so it is an excellent spot for sight seeing, hiking and just relaxing. A tributary of the Missouri River, the Jefferson River flows 77 miles through Montana. Access to the River is difficult as it is hemmed in by steep banks. However, this is an ideal place to scramble down a riverbank and enjoy some solitude. The area at the headwaters of the Missouri River and surrounding the town of Three Forks has some of the most colorful legends and early-day history of any place in Montana. 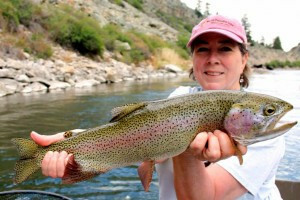 The Missouri River, within minutes of Three Forks, provides miles of accessible blue-ribbon trout fishing. Starting in the Crazy Mountains of Montana, the Shields River flows for 62 miles to ultimately joins the Yellowstone River, just east of Livingston. this river is generally narrow and access to it can be difficult. However, the countryside surrounding the River is quite scenic, with the towering Crazy Mountains to the east and the equally tall Bridger Range to the west. 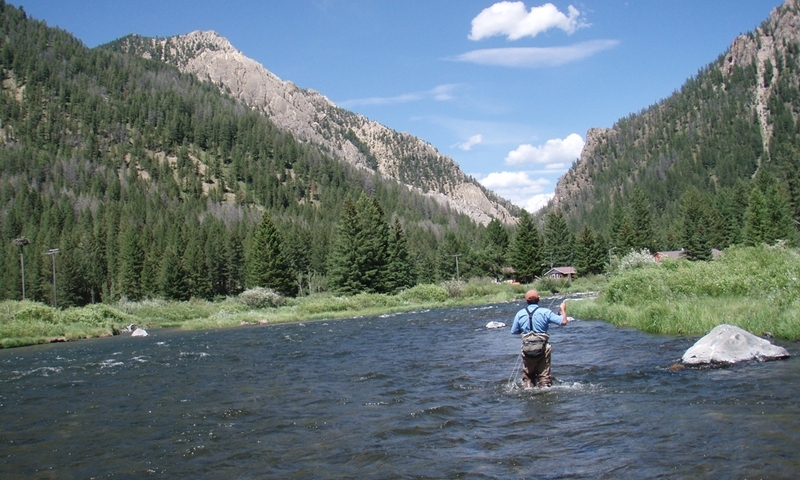 Originating in the high elevations of the Beartooth-Absaroka Wilderness of the Gallatin National Forest, the Boulder River is known for white water rafting, fly-fishing, and wildlife viewing. There are many public accesses along the Boulder, one about every 8 miles. Access to the river is not difficult, as the road parallels the river and signs point out the numerous access points. A number of campgrounds are located along the river, both private and public. The Stillwater River flows from the Beartooth Mountains near Red Lodge. Expansive, scenic lake covering a large portion of Yellowstone National Park.